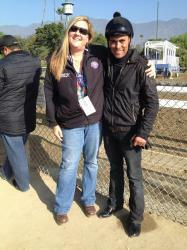 For young trainer Shelbe Ruis, the year 2016 may end up being her most memorable… or close to the most memorable anyway, as in just under five months, the 25-year-old went from obtaining her trainer’s license, to saddling her first winner, to standing in the winner’s circle with her first stakes victor following Union Strike’s impressive 2 ¼-length score in the $300,000 Del Mar Debutante (GI). 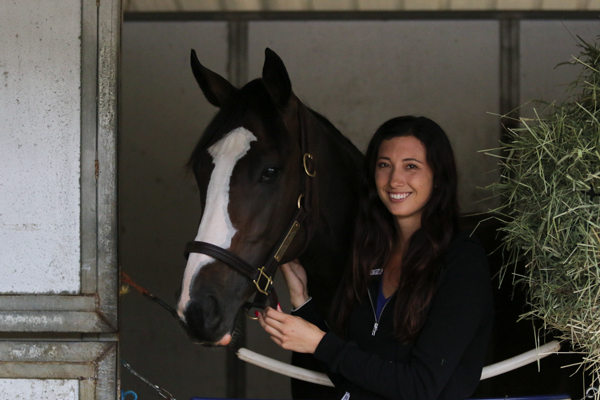 After serving as an assistant to veteran trainer Cliff Sise Jr., Ruis decided earlier this year it was time to strike out on her own. In April, she obtained her trainer’s license and with the backing of her family — including her father Mick and her brother, former jockey Mick Ruis Jr. — in the form of support and the horses to train, by May 15 she’d saddled her first winner. 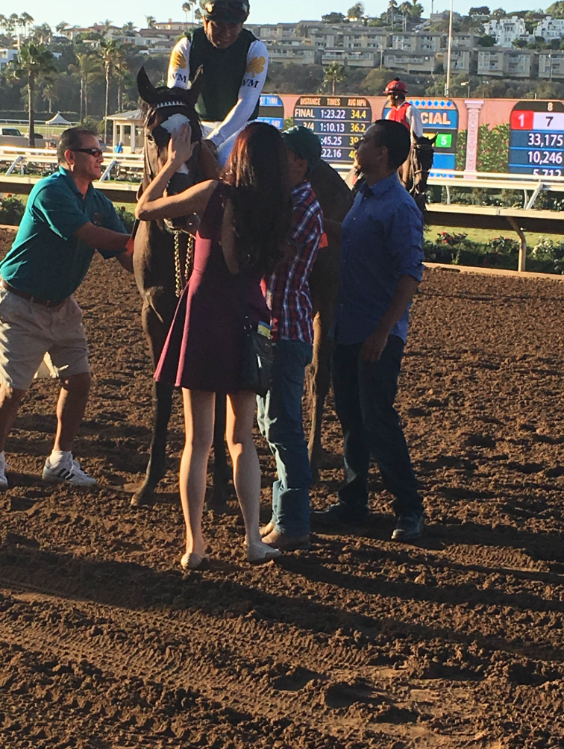 On Saturday, she saddled her first stakes winners in one of the biggest races of the Del Mar meeting. Under jockey Martin Garcia, Union Strike stalked the early pace of :22.16, :45.25 and 1:10.13 set by the speedy Morganite, with the favored American Cleopatra following close behind. Then, after being forced to round the final bend while four-wide to avoid running over her tiring rivals, she was straightened out for clear running room out toward the middle of the track. The daughter of Union Rags roared down the stretch while furthest out from the rail and, soon after Garcia dropped his whip just before the eighth pole, Union Strike began to draw away for the victory, stopping the clock in 1:23.22 for the seven-furlong distance. At odds of nearly 8-1, Union Strike returned $17.40, $7.80 and $4.40. Favored American Cleopatra held on for second as the 8-5 favorite, returning $3.60 and $2.60 while Sorrento Stakes (GII) winner Champagne Room was a nose back in third, paying $2.40 at odds of nearly 3-1. The $1 exacta was worth $26 and the 50-cent trifecta paid $68.55. Noted and Quoted, Miss Southern Miss, Morganite and Holy Mosey rounded out the order of finish. Union Strike after winning the $300,000 Del Mar Debutante (GI). Union Strike was the only maiden in the field of seven, having finished second to American Cleopatra in her only previous start July 31. She earned $180,000 for her Debutante victory to bring her career earnings to $192,600. The flashy white-faced filly is the third maiden to win the Debutante, joining Cindy’s Hero (2000) and Sweet Catomine (2004). Next stop for Union Strike, according to Ruis, will likely be the Chandelier Stakes (GI) at Santa Anita on October 1 with the ultimate goal being the November 4 Breeders’ Cup Juvenile Fillies (GI).